Even though, the Bible has proved scientists wrong about the creation of the world, there are still some stories, including that of Jonah in the belly of the whale many find it hard to believe. The story of the prophet Jonah, as described in the homonymous book in the belly of a large fish is an amazing story you will find out to be true. - Jonah 1:17. 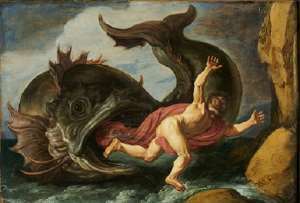 The skeptics find fertile ground in making the tale of this prophet ridiculous over the possibility of Jonah surviving in the belly of a whale for three days and three nights. In an attempt to avoid the apparent improbability of the story, some argue that it was never written to be understood in a literal sense, but rather in an allegorical sense. But Jonah cannot be considered as an allegory, because something like that wasn't indicated anywhere or treated as such in the Bible. Jonah’s story can’t be historical fiction, myth or allegory because the great invincible God knows the doubtfulness of men, the reason it is written at Psalm 14: "The fool says in his heart, there is no God." The passage of 2 Kings 14:25, alludes to Jonah as a historical figure. Jesus himself treats Jonah as such and reports that he was a Prophet whose preaching brought the people of Nineveh to repentance. If the story of Jonah isn’t true, Jesus wouldn’t have compared Jonah’s experience to his own death and resurrection. He said as Jonah remained within the big fish three days and three nights, so I, the Messiah, will remain buried in the heart of the earth for three days and three nights. In the Judgment Day, the people of Nineveh will rise up against this land and shall condemn him, after Jonah preached they repented and left the bad road to God. But now someone far greater than Jonah he is here - Matthew 12: 40-41. If someone denied the facts relating to the story of Jonah, he should presume an ignorance or a deception on the part of Jesus, who believed in his authenticity, which, in effect, would nullify his claim to be what he said he was. There are some species of whales that are perfectly capable of swallowing a whole man, as well as the shark, the white shark, and the sperm whale. It is known that these giant mammals can swallow whole animals even larger than humans. Perhaps it was a whale that swallowed Jonah, but the Bible does not specify the species of the fish. Scientists have discovered that the anatomy of these aquatic mammals allows the presence of oxygen in their stomach sufficient to survive. By removing the scientific probabilities, the one we mostly rely on is what the Bible transmits to us, that is, to the miraculous intervention of God. Throughout the story, there is the characteristic of God's interest in the prophet and his mission. The story also wants to convey to us that God can intervene in a miraculous a way for his mission to be fulfilled.